A love of sewing and the creative brought me to weaving, which in turn brought me to spinning and StitchKitch was born. My work space is based at home, just off the Kitchen, here in beautiful Norfolk. Each day brings new recipe’s of fibre, fabric, beads and more. A good rummage in my stash store brings about colours and textures. A venture outside on the smallholding brings the ideas together. From handspun, handwoven and sewn accessories to delicate and intricate handmade beaded gifts, all spiced up in “the ‘Stitchin’ Kitchen”. I have been sewing since the age of seven and have always enjoyed all types of crafts. I am always updating my skills and am thrilled when I learn a new skill and adapt old ones. Over the years I have made many specialist items for myself and for friends and relations including wedding and ball gowns and all the accessories. I have a love of history and traditions and get a thrill in researching for my designs whether historical or more contemporary. The use of sustainable, recycled and vintage materials is a high priority to me. My studio is based on a smallholding where I live with my family and work from home. As well as my love of crafts, sewing and all things historical, I have a love of all animals but have here goats, dogs and cats. If I am not crafting then I am often found on the smallholding with the animals, in the vegetable garden or in the kitchen rustling up something special with some of our home grown ingredients. A touch of the old fashion you may think, yes, I have to agree, but hopefully a little quirky too! 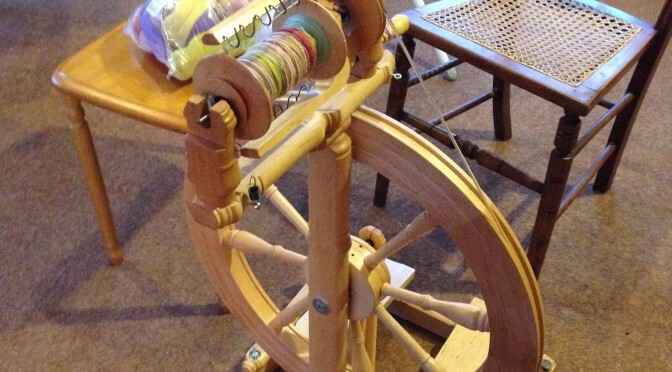 StitchKitch is an official seller of Kromski Handcrafted Spinning Wheels and Weaving Looms.